Motorola doesn't make BR50 or BR56 batteries anymore, so what should you do? June 2016 update - I confirm both Lenmar batteries still work! July 2012: I decide to try a Lenmar CLM5696 replacement battery, and it works great! Not wanting to give up our trusty "old-school" RAZR flip phones, after a fair amount of research, I decided to try a "BR50 equivalent" battery. I decided to order a Lenmar CLM5696 lithium-ion rechargeable replacement battery I found online. I bought a Lenmar CLM5696 battery in July 2012, and tried it out. After several weeks of testing, I found that a battery charge would typically last 4 to 5 days with minimal use, or if I I talked for an hour and a half on a fresh charge, the battery would still last another 2 to 3 days. 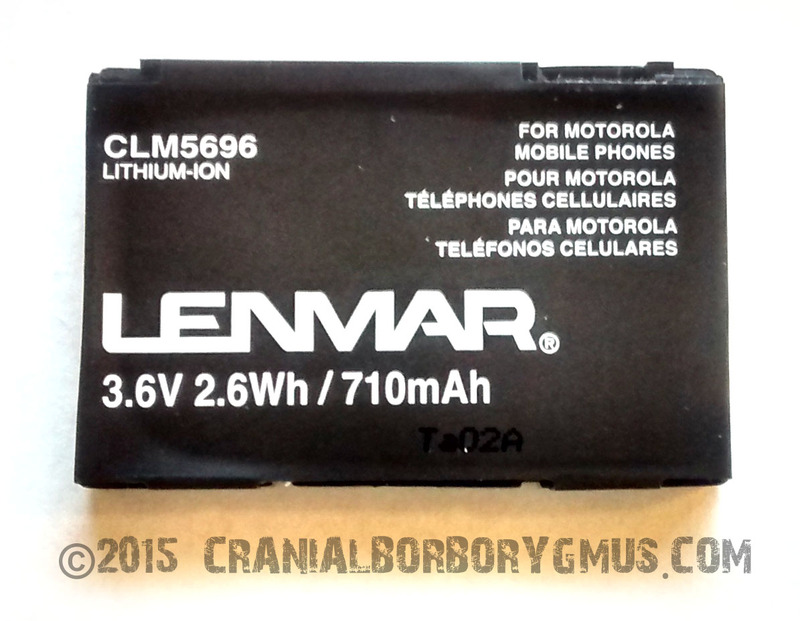 The Lenmar CLM5696 battery seemed as good as the original OEM Motorola manufactured BR50/BR56 battery, so in August 2012, I bought a second Lenmar battery for our other RAZR flip phone. The second Lenmar replacement battery worked just as well as the first one. Unfortunately, about a year later, in March 2013, T-Mobile made "upgrades" to our nearby cell tower to improve the 3G/4G signal by taking some of the "unused" 2G spectrum, and the 2G signal at our house became unreliable (though T-Mobile never acknowledged this). The Motorola RAZR flip phone is only a 2G phone (not 3G or 4G). Our RAZR flip phones would randomly lose the T-mobile signal for minutes or hours, and we would miss some incoming phone calls and were sometimes unable to make outgoing phone calls. Although we loved our trusty RAZR flip phones, we couldn't continue to use them because they are 2G and our T-Mobile 2G signal was just too unreliable. We sadly had to retire them in April 2013, and temporarily replaced them with 3G flip phones for a while, until we decided to leave T-Mobile and switch to Republic Wireless (read my review of Republic Wireless and why I think you should consider switching to their unbelievable but true $10/month unlimited talk and text plan). So we purchased two Lenmar BR50 / BR56 equivalent rechargeable lithium-ion batteries for our Motorola V3 RAZR flip phones in 2012, and continued to use them for about a year, until we had retire our RAZR phones because our T-Mobile 2G signal became unreliable. The Lenmar replacement batteries worked just fine and held a good charge. I can easily recommend that if you need a Motorola BR50 or BR56 battery, you should buy a Lenmar replacement battery. In a proverbial nutshell, it works! Last year (2014), I needed to buy a new rechargeable battery for our Nikon Coolpix digital camera, and because of my experience with the Lenmar replacement batteries for our Razr flip phones, I bought a Lenmar lithium-ion rechargeable battery for our Nikon camera. I tested the Lenmar battery and found it to be as good as or better than the original Nikon battery that came with the camera. You can read about my Lenmar Nikon EN-EL19 replacement battery test here (I think it easily took more pictures on a single charge than the original Nikon battery). Anyway, after writing about that Lenmar battery, I decided to update this post on the Lenmanr BR50/BR56 replacement battery, and so I pulled out our old RAZR flip phones we put away in 2013 to see if they (and the Lenmar batteries in them) would still work. Although the Lenmar batteries were almost three years old, and hadn't even been used or charged for almost two years, both RAZR phones turned on and powered up with no problems! I charged up both phones, and then planned to see how long the charge would last. However, the next day my kids noticed the old RAZR phones and couldn't resist grabbing them and looking through old pictures and videos that had been left on the phones, as well as taking new pictures and videos, and playing around with them. I realized I'd have to start my test over and recharged the RAZRs again. This test is unscientific. I don't have current valid T-Mobile SIM cards, so I can't make calls on the phones, but I'm going to just leave them on and see how long the battery charge lasts. One problem I might have is that I've noticed the T-Mobile (2G) signal is missing sometimes when I check the phone (which is why we had to stop using them in the first place). This may run down the battery faster since it seems a weak or missing cell signal uses up battery faster because the phone is constantly searching for a signal. Anyway, as of the morning of February 16, both RAZR phones (and our three-year-old Lenmar batteries) have been fully charged up. I'll report over the next few days how long the batteries last. DAY ZERO: February 16, 2015, ~10am - fully charged: Silver RAZR shows full three bars on battery indicator, Pink RAZR shows full three bars on battery indicator. DAY ONE: February 17, 2015, ~11:30am - Silver RAZR shows three bars on battery indicator, Pink RAZR shows three bars on battery indicator. DAY TWO: February 18, 2015, ~10:00am - Silver RAZR shows three bars on battery indicator, Pink RAZR shows three bars on battery indicator. 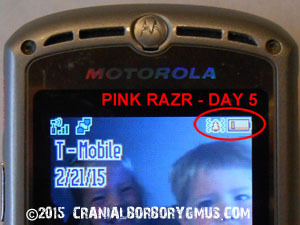 DAY THREE: February 19, 2015, ~10:00am - Silver RAZR shows three bars on battery indicator, Pink RAZR shows three bars on battery indicator. 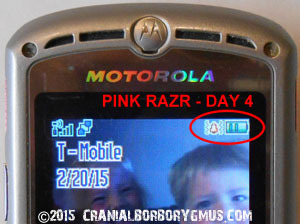 DAY FOUR: February 20, 2015, ~10:00am - Silver RAZR shows three bars on battery indicator, Pink RAZR shows two bars on battery indicator. DAY FIVE: February 20, 2015, ~11:00am - Silver RAZR shows two bars on battery indicator, Pink RAZR shows one bar on battery indicator. 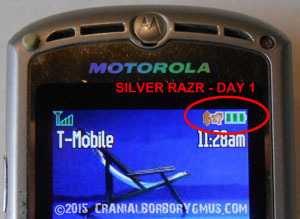 DAY SIX: February 20, 2015, ~10:00am - Silver RAZR shows one bar on battery indicator. The Pink RAZR ran out sometime last night after 10pm, and was off this morning. This means the Lenmar CLM5696 battery in the Pink RAZR lasted five and a half days! Not too bad for a three year old battery that was used for a year and then left sitting in a drawer for about another two years. I plugged the Pink RAZR in this morning and it fully recharged in about two and a half hours with no problems. I'm expecting the Silver RAZR to run out and shut down sometime today or tonight. DAY SIX: February 20, 2015, ~6:00pm - The Silver RAZR started beeping around 10:30am, and showed a red battery low warning. It was still beeping when I left the house around noon, and then was off when I returned around 3pm. I plugged it in, and it fully recharged just fine like the Pink RAZR. I am turning both phones off (with their batteries fully charged) and putting them back in storage for now. My test result for the the Silver RAZR is that the three-year-old Lenmar battery on a single charge lasted just over six days! 2016 UPDATE (June 17, 2016) - I received a comment from Brett George two days ago (below) that reminded me I hadn't checked our two RAZR phones in a while (I think since last year when I did the 2015 update). In an event, they've just been sitting in a drawer in our kitchen. I pulled both of them out to see if they'd still turn on and check the Lenmar batteries in them. Ideally, if you're not using a phone, you should still turn it on every three to six months, and then fully charge the battery. Otherwise, eventually the battery will fully discharge (even with the phone turned off), and if it continues to sit fully discharged for too long, it will not recharge. If you've ever tried to turn on a phone that has been stored for several years, you'll know what I mean. The battery will most likely be dead, and won't charge. Anyway, my silver RAZR turned on just fine, and showed 2 out of 3 on the battery charge bar! But my pink RAZR did not turn on. It was dead. However, I plugged it in and it started to charge. I tried turning it on about 20 minutes later, and it turned on just fine. I left it charging the rest of the afternoon, and it fully charged (I'm not sure how long it took). I then fully charged the silver RAZR overnight. Yesterday morning, I topped of both phones to make sure they were both fully charged. I then left them on, and will see how long the battery charge lasts (with the phones on but not being used). This morning, 24 hours into my 2016 test, both phones are still showing 3 out of 3 on the battery charge bar. So at this point, both Lenmar batteries are still working, and handled being left off in a drawer for over a year. * June 20, 2016 update: Yesterday morning, I checked the two phones and both batteries still showed 3 out of 3 bars. This morning, which would be 4 days or 96 hours since I initially charged up the batteries and then left the phones turned on, the silver RAZR still shows 3 out of 3 bars on the battery charge indicator, but the pink RAZR has dropped to 2 out of 3 bars now. As with my 2015 test, the phones do not have working T-mobile sims in them and I am not making calls or otherwise using them. I am just leaving the two phones on to see how long the Lenmar batteries last. At this point, after again sitting in a drawer for over a year, both Lenmar batteries still can be charged, and still hold a charge for several days (4 days and counting). I will continue to recommend these Lenmar batteries. * June 23, 2016 update: The pink RAZR had dropped to 1 out of 3 bars two days ago (June 21), and was dead yesterday (June 22). I recharged the battery and turned it off. So the Lenmar battery in the pink RAZR lasted a bit over 5 days. The Silver RAZR showed 1 out of 3 bars yesterday (June 22). I decided to just start recharging it last night rather than wait for it to run out and turn off. It is now recharged and turned off. Both phones will go back in the drawer for storage. The Lenmar battery in the silver RAZR lasted over 6 days, but would have been dead on day 7. It looks like the results are the same as my test over a year ago (in 2015), so the Lenmar batteries I purchased in 2012 and used for a while and have then stored ever since, again survived over a year of being stored, and now four years later, still work well. To repeat what I said above, based on this (and how well our Lenmar batteries for our Nikon camera are working), I continue to recommend these Lenmar batteries. Why I recommend buying from Amazon: if you're going to buy the Lenmar battery that I recommend for your RAZR flip phone, I'd recommend you buy it from Amazon. Why Amazon? Because they sell a lot of stuff, and they turn their inventory over on a regular basis. When you get a lithium-ion rechargeable battery (or really any battery), you want it to be as new (fresh) as possible. If you buy from a small vendor who doesn't sell very many of a particular battery, the battery you get may have been sitting in a warehouse or on a shelf for a long, long time, and may have degraded over time. I'd buy the battery from Amazon where you'll probably get the "freshest" battery. I'd also buy directly from Amazon and not a third-party vendor on Amazon, even if they're a buck or two cheaper. Just my opinion. A brief discourse of replacement battery price: It's always bugged me that an "original manufacturer" oem replacement rechargeable battery for a cell phone or digital camera can typically cost $30 to $50 bucks. That is just plain wrong. I'm big on principle, and I don't like to be ripped off or taken advantage of. I just don't think a battery should cost that much! I'd love to get the cheapest battery out there, but I also want to get a battery that will work, and that will hold a decent charge and will last several years. Over the years, I've found that most batteries that are "too" cheap don't work. So now I'm willing to pay a fair price to get a reliable battery, but I don't want to overpay! I've also learned, forgotten, and re-learned the age-ole lesson that if something sounds too good to be true, it probably is. I've bought $3 to $5 batteries in the past on eBay (usually from China but sometimes from here in the US), and they've all been a disappointment. I should have known better. They just don't work well. But they're not worth the hassle and cost of returning them get my money back, so I usually just grumble and tell myself I should have known better. Now, when I need a replacement battery, I'm willing to pay a FAIR price for a reliable battery, but how does one know if a particular battery or brand is reliable? That's why I wrote this post for others to read. From my experience with my Motorola RAZR flip phones and my Nikon Coolpix camera, I've learned that Lenmar makes a decent replacement battery. Lenmar replacement batteries aren't cheap. The Lenmar batteries that I have bought have been about $10 a piece. But I don't mind paying that if I know they're going to work well (as well or better than the original battery), and from my experience, Lenmar batteries work and they last. That's why I recommend them. And I'm guessing there are a few other people like me out there (who don't mind paying fair price if they get a battery that really works), which is why I wrote and then updated this post. Pierre, Thank you for your feedback! I'm glad I was able to help, and I hope the Lenmar batteries serve you well! Wow.....thanks so much for the info! I'll order a Lenmar battery from Amazon, and try to fire up my old pink razr to watch my videos left on the phone. 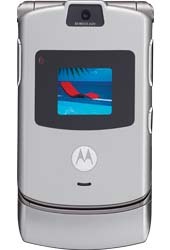 Loved my razr and kept it cause it was just so cool! Dawn, Thank you for your feedback! I hope you're able to fire up your old pink razr see those long lost videos! Good luck! Thank you for your information. I have a Motorola RAZ R50 flip phone (10years old) and have purchased new batteries. However, the battery meter still remains at 6. Shouldn't it be higher? I also like this phone and fits in my purse. I would be grateful for your input. Virginia, I don't know what you mean by the "battery meter remains at 6". On our RAZR flip phones, if the battery is fully charged, I get all three bars on the battery charge indicator, like my pictures above show. If you are charging your new battery and it doesn't charge all the way, it may not really be a "new" battery. As I wrote, there are people out there selling old batteries that were manufactured a long time ago. Even though the batteries have never been used, if a battery is "new" but old, it may not work. That's why I recommend buying the Lenmar-brand BR50 battery from Amazon. Where did you get your battery and what brand is it? Also, I agree and loved the size of the RAZR flip phone and how easy it was to carry with me, and how well it worked when I held it up to my face to talk. It was a great phone! Good luck on your battery issue! This was pretty interesting. I wish I had read it a few days ago. LOL. I put my Razr v3 away in 2012. When I pulled it out last week, it was totally dead as expected. But it would not charge up at all. It would show it was charging and then show it had a complete charge, but I was unable to access any menus of any kind. I finally ordered a replacement from BatteryMonster and got it today. It look exactly like the original except it is missing the 'M' logo in the white circle on the battery. And, of course, it is made in China. I am currently charging and hope it takes and that there is not something else wrong with the phone. I now need to use it again as I have no other phone. It shows 2 bars, but still unable to open any menu or function. Hi Brett, Thanks for your comment. I've found that rechargeable batteries definitely have a "shelf life". I just hope the "new" battery you purchased was made recently, and isn't old stock, or I doubt you'll have much luck with it. I've had good luck with Lenmar batteries, both for my RAZR phones and my Nikon camera. It's still important though to purchase from a reputable vendor (like Amazon) who has "fresh" stock and good inventory turnover. Good luck with your RAZR! Thanks so much for these clarifications on these OEM batteries, plus reports & recommendation on replacements. Thanks very much! Thank you for your recommendation about the batteries. My old Razr keeps a charge for only a few hours now, and I'm just trying to decide whether to go on from my Razr to a smartphone, because I can't get a signal in my apartment (though I can get one just about anywhere else). What you said about T-Mobile and 2G is very informative, though. That may be the reason that I can't get signals to call in or to receive calls on the Razr when I'm at home. I'd like to stay with the Razr, but there's no guarantee that what is ailing my phone is only a dying battery. It could be the phone itself. I may just have to give up the Razr and go for another phone (a smartphone). Thanks again. I just read the information you posted about using the Lenmar CLM5696 replacement battery for the Motorola RAZR V3 series flip phones. Very well written, and very interesting. In my case, I just purchased a RAZR V3m from an eBay retailer. The phone was listed as new, and there is no doubt that it never has been activated, however, I am convinced that it is a Chinese clone and not a real "new old stock" (NOS) Motorola. Anyway, it works fine on the Verizon network. Anyway, the BR50 battery in it will fully charge, but won't hold a charge very long when left in the standby mode ... If I fully charge it, then turn it on before I go to bed (standby mode), it will only show about 1 bar charge the next morning. However, if I turn it completely off before I go to bed, it will still be fully charged the next morning .... Obviously I have a bad battery. I did some internet research and found that the Lenmar CLM5696 battery had been discontinued, so all that is left for me are these various Motorola BR50 / BR56 Chinese clones sold on eBay. Hi Ron, Thanks for your comment and information! I haven't checked on the Lenmar CLM5696 battery in quite a while, but I just did now, and I saw that there is only one seller with it on Amazon and the price has gone up to $35, which makes me wonder what is going on. I then looked around on the Lenmar website and couldn't find it (and their search function is broken). Where did you find out it was discontinued? Can you email me a link? It does sounds like it may have been discontinued. If I can confirm this, I'll update my review. I don't want people buying a Lenmar battery and thinking it's new if they really don't make them any more. Steve, Just to let you know, the eBay vendor that sold me the RAZR phone just sent me an email, letting me know that they are sending me another battery free of charge. So, I won't be ordering that Chinese BR50 clone (at least for awhile). BTW .. The Motorola BR50 that came with this phone has no date on it at all. Hopefully the replacement battery will be better than the one that came with my RAZR. Here is something you might find interesting ... I am attaching a photo of the sticker that is attached to the phone below the battery. You will see that they spelled "MODEL: V3M" as "NODEL: V3M"
Don't take a rocket scientist to figure out that my RAZR is a Chinese counterfeit ! ... Of well, it works good though. Ron, Thanks for all your follow-up. Your picture of your RAZR phone label is funny! I would agree that the phone is a likely a counterfeit, but I'm glad to hear that at least it works. It's interesting that there's still enough of a market for RAZR flip phones that someone is still making counterfeits, although maybe it's an old counterfeit. Anyway, thanks again for letting me know that the Lenmar CLM5696 battery is no longer made. Do you have a comment or question? Fill in your name and comment below and click [Submit Your Comment]. All relevant comments and questions will be reviewed and posted above. 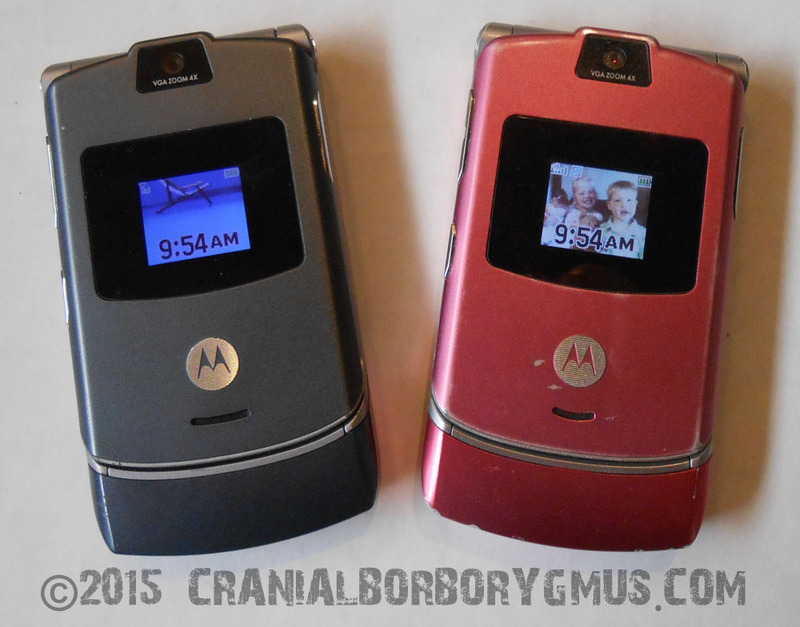 [February, 2012] I have two Motorola RAZR flip phones, a pink one for my wife and a silver one for myself. They are the old-school flip phones that you talk on, and not the new hip Razr Droid smart phones. These old school Razr phones used to be "cutting edge" when they first came out, and were all the rage. I've had them for about five years, and they still work just fine, so I don't see any reason to replace them. I don't need a "smart" phone... I'm not addicted to the internet or to crazy birds. But the batteries in the phones are finally starting to die. So last month I popped open the battery compartment and saw that they use a BR50 battery. I went on Amazon and found that I could buy a new, genuine oem BR50 battery for $4.70 with free shipping. That seemed reasonable for me, and I figured Amazon was a reliable place to shop (though it was through a third party company, but a company that had a good sounding name and was "approved" by Amazon), so I placed an order for one battery. A few days later I received my "new" BR50 battery in the mail. It was actually not a BR50 battery as ordered, but was a BR56 battery. It also had a manufacturing date on it of 2007 (this is 2012), and looked surprisingly beat-up for a "new" battery (my guess is that it was salvaged from a discarded phone). I contacted the seller and complained that I got the wrong battery and it was 5 years old! I said I wanted the correct BR50 battery and I wanted one made within the last six months, or I wanted my money back. He told me he could get me a BR50 battery but the "newest" one he had was dated 2008. I told him that if that was the case, I wanted my money back, and I guess because he didn't want the bad feedback with Amazon he refunded my $4.70. As stated above, the BR56 battery that I bought on Amazon in 2012 was advertised as "NEW" but when I got it the date on it was 2007. I complained and the seller refunded my money, and didn't make me send it back (which is good because the return postage would probably be almost as much as the original $4.70 price. Well, this past weekend I decided to try out the Amazon-purchased BR56 battery (hoping it wouldn't fry my RAZR flip phone). The battery actually charged! I left the phone on but didn't use it that day. The next morning the battery was DEAD. So without any use, the BR56 "new" battery I got from Amazon had a charge that lasted less that a day. My review and verdict: Don't buy a Motorola BR50 or BR56 battery on Amazon! Disappointed with my Amazon "third party vendor" BR50 buying experience, I decide to trying buying it directly from a cell phone accessories provider website, and I was willing to pay more. BR50 vs BR56... I also did a little more research and discovered the BR56 would also work for the razr phone. 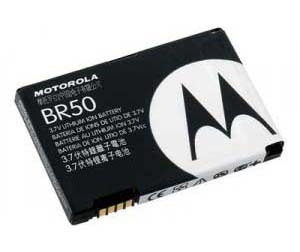 The different between a Motorola BR50 and BR56 battery is that the BR56 holds a little bit more charge and thus lasts longer, but the BR50 and BR56 batteries are both the same size and both fit in the RAZR cell phone. 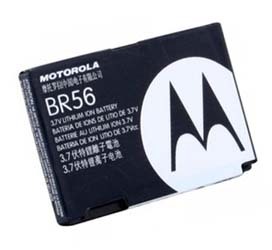 Since I learned that the Motorola BR56 battery actually was a little better than the BR50 since it holds a little more charge and thus should give long talk times, I decided to search for the BR56 battery instead of the Motorola BR50. I did a quick Google shopping search for "Motorola BR56 battery" and found the following listing being sold by what appeared to be a reputable company. [me] "I'm interested in your BR56 for $9.99 plus shipping [V3 Bulk Pkg Motorola Br 56 Std 780mAH Li Ion Batt]. Do you guarantee that it is a new and genuine Motorola battery? And what is the manufacturing date on the battery? I ask because I just bought a "new" BR56 on amazon and got ripped off (it turned out to be dated 2007 and looks used). Thanks in advance for your answer. Steve"
[Tracy, sales person] "I guarantee they are new and genuine. I do not know the dates because we are always getting new shipments so the batteries we have today probably will not be the ones that we have tomorrow. Tracy"
[me] "Tracy, Thank you for your quick reply about your BR56 battery. I understand you have inventory turnover. Can you tell me what the date (or at least the year) is on the BR56 batteries you currently have? I would think that if you are getting new shipments the batteries should be newer and not older than what you currently have. Also, can you guarantee that the battery I purchase would have been made at least in 2011, or what year? Thanks, Steve"
[Tracy, sales person] "Hi Steve. I have to check from the warehouse which is currently closed but if I am not mistaken this is the one that Motorola does not make anymore so the year would not be 2011. I would have to double check that. Tracy"
[me, the next day, after not hearing back on the actual date] "hi Tracy, Per your reply yesterday, can you check with your warehouse and find out what the year is on the dates on your Motorola BR56 batteries and let me know? Thanks. Steve"
[Tracy, sales person] "As I said Steve, These are no longer made and have not been for a couple of years. here is the date"
[me] "Thanks for your reply, but you said "here is the date" but I think you forgot to type the actual date? What is the date on them? Thanks"
What I learned from this email exchange is that although seller will call their batteries "new" (and perhaps technically they are), what they won't necessarily disclose or tell you unless you pester them is... MOTOROLA DOESN'T MAKE BR50 OR BR56 BATTERIES ANYMORE, and hasn't for a while. And rechargeable batteries don't store for ever. After a year or two sitting around on a shelf, a battery that was new will lose most or all of its charging capability. So if anyone is telling you that they will sell you a NEW BR50 battery, ask them what "new" means, and when the battery was actually made. But what are the alternatives for a BR50 or BR56 battery? Well, I believe there are some companies making BR50 and BR56 replacement batteries, and I intend to finish this once I've found a trustworthy solution, and share my answer with the world. Stay tuned. Further update... It seems that Radio Shack offers a BR56 aftermarket brand called Lenmar. Best Buy also has their own aftermarket brand, but I've never heard of either of these aftermarket brands, and the online reviews for the Lenmar BR50/56 battery sound hit-or-miss. The batteries may also only be sold online, and I don't want to buy a battery unless I can go into the store and check what the manufacturing date is (and also easily return it if it turns out to be junk). I'm going to research these two after market brands, and then I'll update this again! 2013 update: Lenmar CLM5696 (Motorola BR50/BR56 equivalent) Lithium-Ion Battery Review. I purchased a Lenmar BR50/BR56 equivalent battery from BestBuy online in July 2012 and another one in August 2012. I've been very happy with both, and they both still work. The battery typically lasts 4-5 days with minimal use, or when I talk for 1-1/2 hours on a fresh charge, the battery still lasts for another 2-3 days. So it seems to be about the same as the original Motorola BR50/BR56 battery. Both of the Lenmar batteries I got worked and still work, so this is the solution I recommend if you want to keep using your Motorola RAZR flip phone and need a new battery for it. Just remember to avoid buying an "original" Motorola BR50/BR56 battery since Motorola hasn't made them for years.